"Like the empire it examines, SPAIN'S ROAD has great range and ambition, and in a single volume of this scope it would be unreasonable to expect comprehensiveness, but it must be said that Kamen's two prime intentions--to see the Spanish nation as the product of its empire, and to see the Spanish Empire as the product of non-Spaniards--are at odds with each other in parts of the book. The impressive fleet of scholarship, insight and delightful nuggets is sometimes scattered by contrary winds. 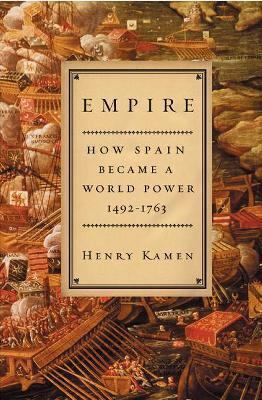 "Kamen, Henry is the author of 'Empire How Spain Became a World Power, 1492-1763', published 2003 under ISBN 9780060194765 and ISBN 0060194766.